The most popular option for student friendly groups, this Rock 'n Roll original offers an affordable dinner package that includes a variety of burgers and sandwiches. Accommodating large groups and vegetarian options are available. Call 1-800-992-9035 to reserve this package. Boston Duck Tour, dinner at the Hard Rock Cafe & a ticket to Shear Madness. Call 1-800-226-7442 to reserve this package. Maggiano's Little Italy has built its reputation as one of America's best Italian-American restaurants. Located walking distance from Shear Madness, this dinner package offers all-you-can eat family style meals and can accommodate large parties. Shear Madness is fresh & funny with up to the minute spontaneous humor. The audience helps to solve a madcap mystery & the fun doubles when group members join in. Find out who is the super sleuth in your group. Groups 15 or more qualify for discounted prices. Scroll down to view available dinner packages in Boston. Ask about dining options at the Kennedy Center. America's Funniest Comedy Whodunit is Better in a Group! Our group still talks about the show and how much their sides hurt from laughing so hard! Shear Madness is fun for all ages and is the perfect activity at the Kennedy Center! It was a pleasure to see our guests thoroughly enjoy themselves and laugh for hours! Count on us for next year! Shear Madness has become a fixed part of our annual trip... it's sheer fun! Mary McPherson and Associates, Inc. It is at the top of my recommended list of things to do for out-of-town visitors and locals alike. Shear Hilarity! Shear Excitement! Shear Madcap! Shear Madness has created many new lifetime theatregoers. Thanks for your help! Everyone love the performance. It was a terrific evening at the theatre. Shear Madness groups provides a hilarious show that all ages can enjoy! Thank you. Continues to be a delightful, witty show and gets funnier each time we see it! Shear Madness, an inclusion in our tour for over eight years, is always first rate! 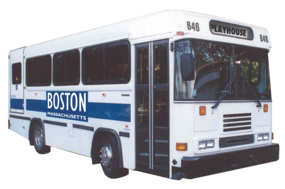 Designated bus drop-off/pick-up is on Tremont Street near Eliot Norton Park between Stuart Street and Oak Street West. Please be advised that Boston Transportation Department has provided 4 spaces for bus drop-off/pick-up ONLY at this location. Any tour bus idling for more than 5 minutes are subject to $500.00 fine. 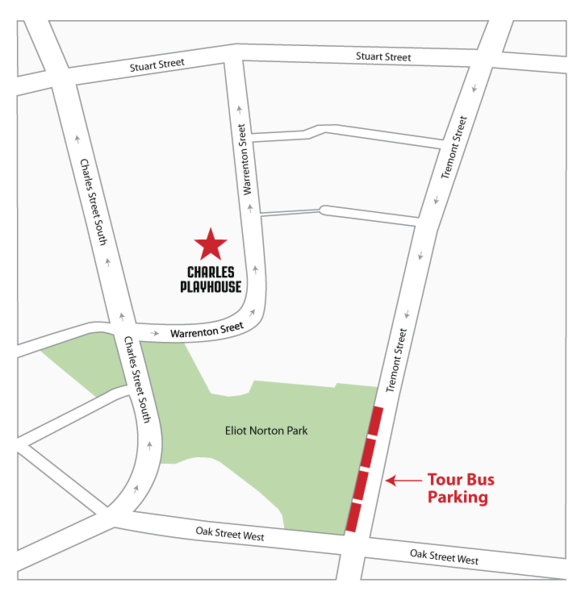 NOTE: Long-term parking is available on Huntington Avenue and Traveler Street. © 2019 Cranberry Productions, Inc. & Shear Madness. All rights reserved. Shear Madness materials may be used only with prior permission of Cranberry Productions, Inc.